With a fantastic blend of functionality and convenience, the Evocity 1 Pushchair from Kiddy is the perfect companion for parents in the city. Suitable from birth in the comfortable lie-flat position, the Evocity features a total of 4 recline positions which are operated by a simple lever. The leg rest is also adjustable to suit the needs of a baby or toddler, whereas the large sun canopy can be easily extended and is adjustable to two heights in order to provide excellent protection against the sun’s potentially harmful rays. Reflective strips at the edge of the sun canopy increase safety further through better visibility. Designed for excursions in the urban jungle, the Evocity comes complete with a large shopping basket and a handy cup holder so that you can stay hydrated whilst on your adventures. 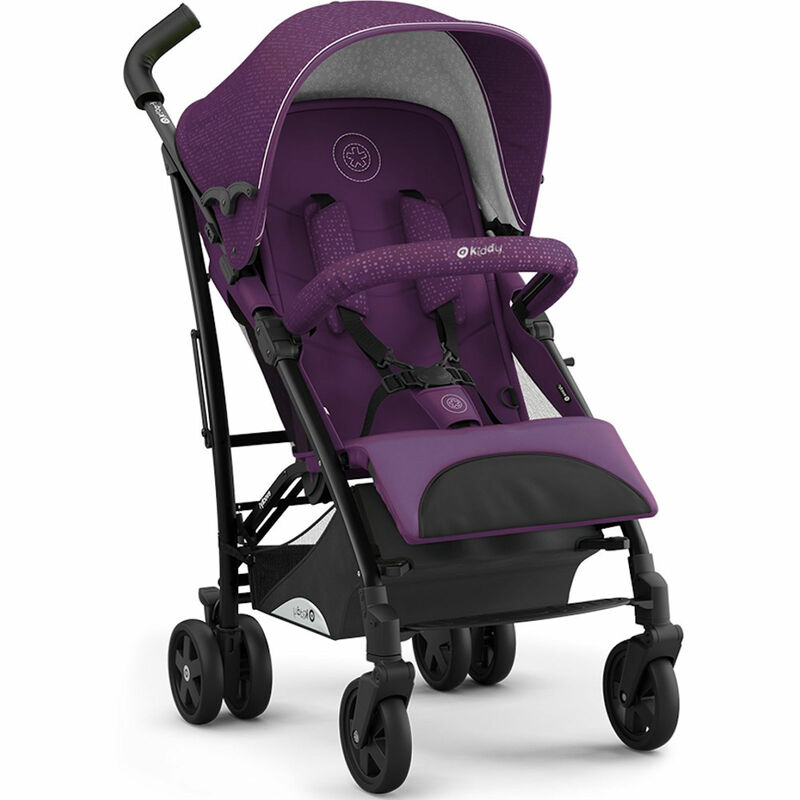 Other features on offer come in the form of resilient PU tyres, all-wheel suspension and single swivel front wheels, which mean that the buggy can manoeuvre well on busy highstreets. Folding compactly with just one hand, the stroller will freestand once folded and is compatible with the infant carriers of the Kiddy Evo-series (Kiddy Evoluna i-Size & Kiddy Evolution Pro 2) which are sold separately along with the relevant adapters. Protective extending sun canopy with two height positions.